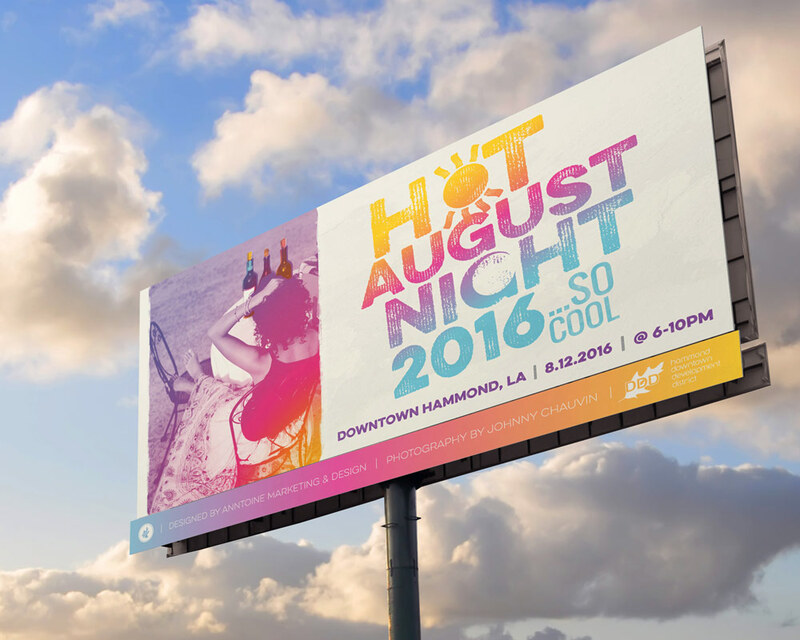 Everyone from the Hammond area knows Hot August Night is one of Downtown Hammond's best events of the year. The local businesses pour handpicked wines from all over the world and bring both the local and business community together for art, music, and networking. 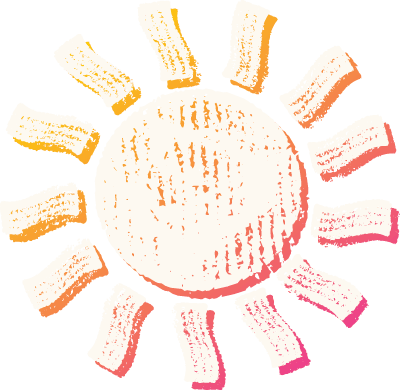 This year, Anntoine was contacted by the Downtown Development District to bring a fresh, colorful approach to this year's festival. First up on the list was simply to design the poster that would be displayed in the windows of Hammond's local businesses to start spreading the word. We teamed up with Photographer Johny Chauvin to bring one of his original works from a Hot August Night over 20 years ago to the year 2016. We added a fresh new color scheme while keeping the cool, retro vibe of the original photo. After the poster was designed, we dove in head first and created the correlating print collateral. 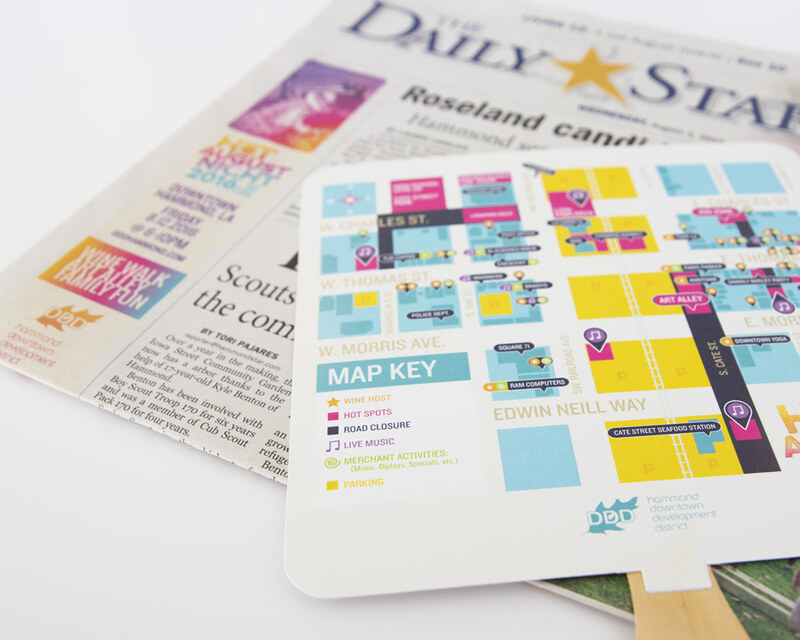 From billboards, to event programs, to newspaper ads, and more, our goal was for each piece designed to have a cohesive feel to it--one easily recognized around town. 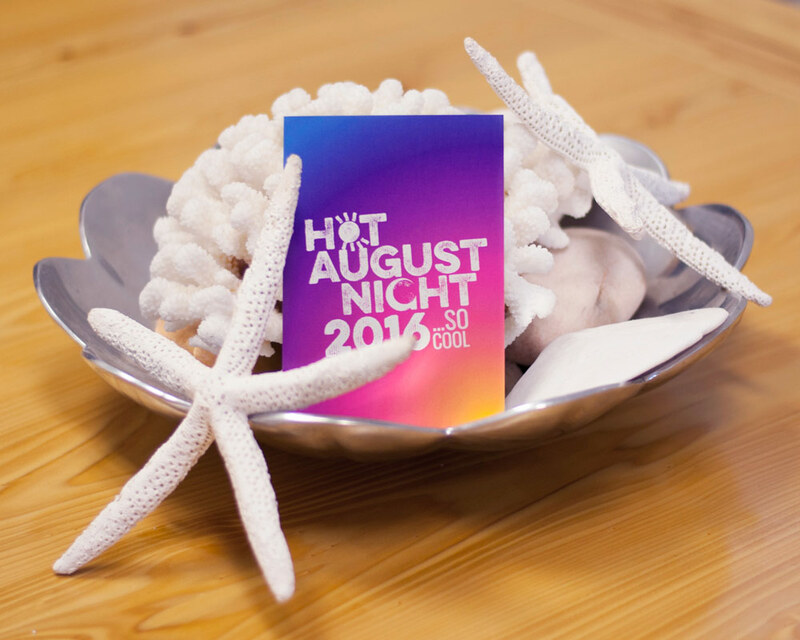 We hit the ball out of the park on this project and can't wait for next year's festival. 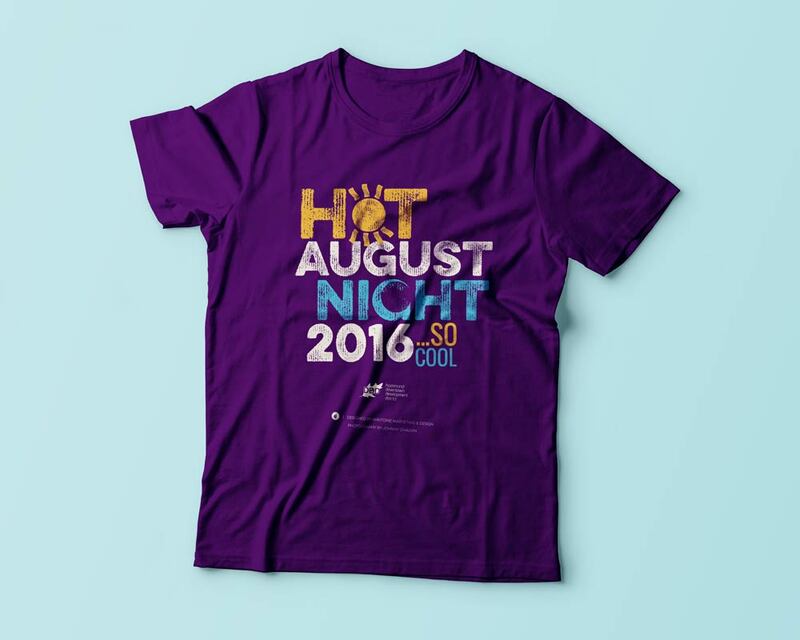 With that said, Hot August Night 2016 will always be the "coolest" in our book!